Rugged comfort is yours with the BLundstone 585, part of the Super 550 Series. The 2.5mm thick leather nubuck upper provides a durable yet breathable natural material. Sturdy front and back tabs with roomy finger holds help you slip in and out with ease, and the elastic gore is built to retain its shape, so the classic Chelsea look will stay in tact for long wear. The twin-needle, reinforced stitching uses a high tensile strength threat for even more durability. The heel is heat-formed for a more natural fit, and the Shock Protection System disperses shock at the heel strike to reduce skeletal stress on the feet, knees and vertebrae. The upper and midsoles are injection molded for a seamless fusion and less chance of blowing out. The dual-density polyurethane outsoles are weatherproof, lightweight, and provide superior traction. 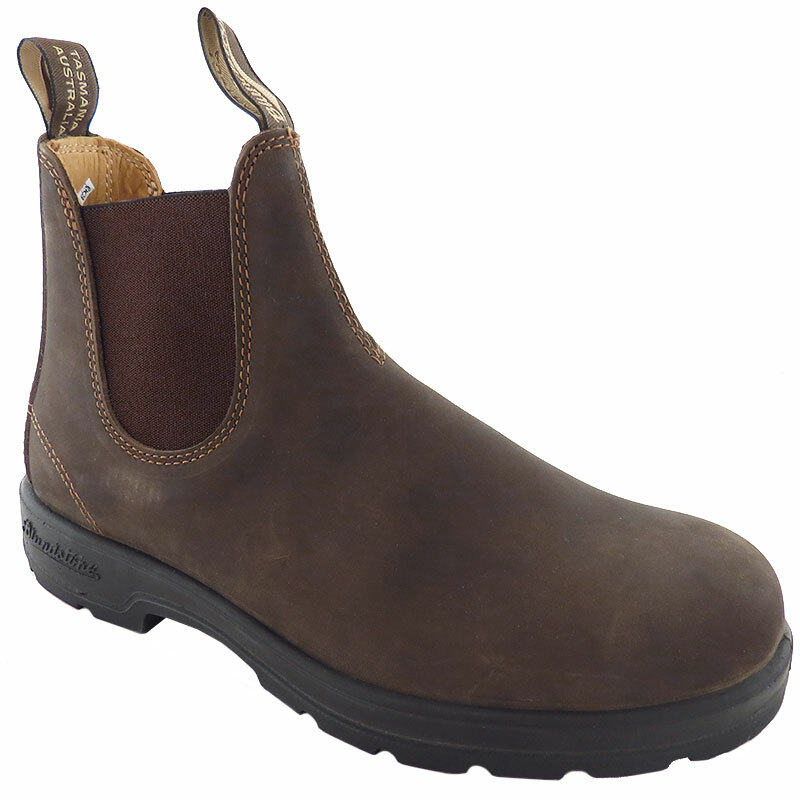 The 550 series from Blundstone is a classic boot simple in style, and big on comfort and durability.